Introduction to Maternity and Pediatric Nursing provides a solid foundation in obstetrics and pediatric nursing. In this combination text, the information forms one continuum of knowledge flowing from conception to adulthood. A new 4-color design increases the pedagogical effectiveness of the book. The concept of studying simple-to-complex and health-to-illness is retained, along with the popular body system organization. 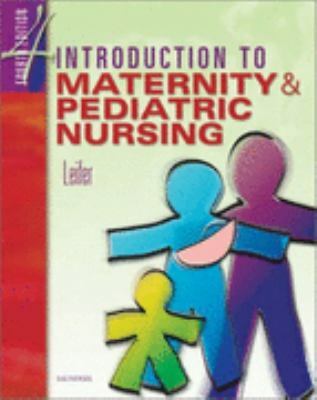 Emphasis on prevention and early recognition and the family is maintained, while the content on antepartum care is strengthened.Leifer, Gloria is the author of 'Introduction to Maternity & Pediatric Nursing', published 2002 under ISBN 9780721693347 and ISBN 0721693342.